Summer will soon be here and that means getting to spend more time outdoors. Your kids might be excited as hell about summer too. But engaging in more physical activity makes it all the more necessary to eat right! If this worries you, you’re not alone! Lots of moms have a tough time getting their kids to eat a healthy diet. However, getting kids to eat right in summer is easy if you keep a few things in mind. Here are a few tips you can use to make sure your kids stay healthy this summer. Making sure your kids eat regular meals is important if you want to keep them healthy. Eating regular meals will provide them the energy they need to indulge in their favorite summer activities. Moreover, kids will be less likely to snack on unhealthy stuff if they feel full throughout the day. Do make breakfast the most important meal of the day so kids are energized right from the minute they start their day! Kids don’t easily eat a lot of fresh fruits and vegetables. But you know that they are packed with nutrients and you need to get kids to eat them. Try involving kids in preparing meals; get young ones to simply wash or peel fruits and vegetables. You can also take them along for shopping! Allow them to pick fruits and vegetables of their choice and also talk to them about their benefits. Note that fruits and vegetables that are in season usually taste a lot better than out of season ones. So pick seasonal produce and your picky eater might just love it! Be creative and serve fruits and vegetables in different forms- chopped, sliced, mashed, etc. Also try to include fruits and vegetables in dishes in all possible ways- pureed vegetables in pasta sauces, chopped vegetables in meat burgers, raw fruits and vegetables with hummus, fresh and dried fruits in cereals, etc. Keep a bowl full of fresh fruits on the kitchen counter so every time hungry children rush into the kitchen, fresh fruits are what they see first. Stocking healthy foods at the front inside your fridge will also encourage your kids to eat healthy. You can also consider giving nutritional supplements to your kids if they are very finicky eaters. Buy them from a pharmacy or get free samples online. Do speak to a pediatrician first! Summer is the season of barbecues, ice creams, marshmallows, and more! But you certainly can’t let your kid gorge on these things all day. You shouldn’t deny these simple pleasures to children; only make sure that they are gorging on the unhealthy stuff in moderation. You can also make the not so healthy stuff healthier by making smart changes. Here’s how! If your kids love grain-based snacks, choose whole-grain foods or snacks with higher fiber content. Opt for baked foods instead of fried ones. Read labels and pick snacks that are made using monounsaturated or polyunsaturated fats. Stock up on muesli and fruit bars but make sure they don’t have a lot of sugar. Add or substitute healthy stuff to dishes to make them nutritious. For example, top nachos and quesadillas with beans, guacamole, salsa, and low-fat cheese. Using whole-wheat tortillas is also a great idea. Additionally, use reduced-fat hot dogs and burgers, serve burgers with grilled vegetables, and barbecue sticks of fresh fruits! Look for low-fat ice creams. Ice creams marked as ‘slow-churned’ also pack less fat and calories. Also note that plain flavors like vanilla and chocolate have fewer calories compared to other flavors. Fudgsicles and popsicles pack the least amount of calories. You can also make your own at home! Frozen yogurt is another all-time favorite; just make sure you’re picking up one with less sugar. Add fresh fruits and granola to make a parfait! If your kids love marshmallows, skewer them with fresh fruits or make your own S’mores with graham crackers. These crackers are a good source of whole grains so you needn’t worry. It is important for kids as well as adults to stay hydrated all the time, especially in summer. Staying hydrated can prevent heat-related illnesses such as exhaustion, headache, nausea, vomiting, cold sweat, diarrhea, etc. So make sure your kids are hydrated all the time whether they go out or stay at home. Promote water as the best drink to quench thirst. Sodas and energy drinks come with loads of added sugar that isn’t good for the body. Of course, kids can have a soda once in a while. Fruit juices also come loaded with sugar. So eating fresh fruits or simply sipping on water is the best thing to do. 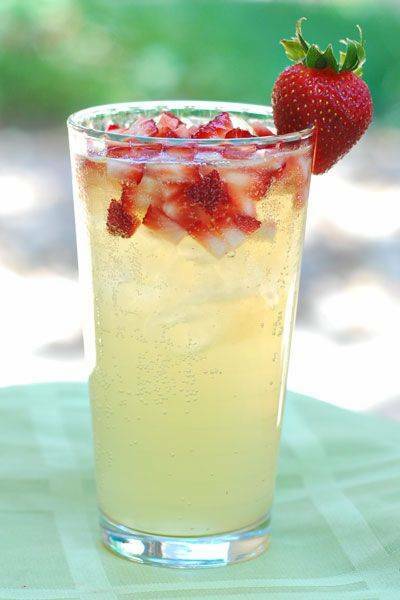 You can flavor water by adding slices of fresh fruits like strawberries, limes, or watermelon to it. Make sure to keep your fridge stocked with bottles of fresh water. If sending kids to a summer camp, remember to hand them a bottle of water. Also teach them to drink water every half an hour or so. Your kids will learn to do the right things if you do them yourself. So be a good role model and your kids will definitely follow in your footsteps. Now that you have these easy tips by your side, you shouldn’t be worried about your kids at all. Make good use of the information here and you and your kids are sure to enjoy summer in all its glory! This entry was posted in Kids Care and tagged Eat, Healthy, Moms, Summer, tips.